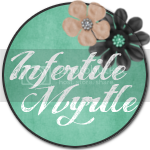 The Infertility Overachievers: New Blog Title?? First, My Friday Confession...I miss him when he is asleep. However I am oh so happy when he actually goes to bed. It is quiet the conundrum. 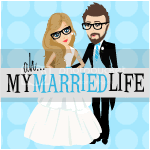 I am thinking about changing my blog title soon. When Mike and I first started going through IVF we were The Infertility Overachievers. We both had something wrong with us that was causing our infertility. It's sad, but we were WAY overachieving at infertility. However we EVENTUALLY beat it. I know I bore alot of you these days with my mindless posting of London's stats and pictures. I also know I have lost alot of readers because of the direction this blog has taken, but to be honest I love my blog. This blog represents my life. I am a stay at home mom who is obsessed with her baby boy. Boring? For you, probably yes. Rewarding? For me, 100% YES! Would I have it any other way? 100% NO!!! Is it physically hard? No. Is it emotionally hard? Yes, it's EXHAUSTING!!! However given all of that, I love being able to spend all day everyday with the love of my life (sorry Mike). I saw this quote online tonight and it spoke to me. I am trying to work it into a new title for my blog. Any suggestions? I know exactly what you mean! I am breath a sigh of relief when she goes down. But within the hour, I want to go snuggle her. And for what it's worth, I very much enjoy the London updates! Second of all - I totally agree. I don't think you should even need to worry about what others think of YOUR blog. It is about YOUR life and just because others are not in the same place, doesn't mean they had to stop following. If they find they are unable to be happy that someone else is no longer suffering (you know what I mean by that), that is their choice. I used to be terribly bitter about what every one else had, that I didn't have and that I wanted. It was jealously. But it consumes you and becomes you. I didn't like that. I don't want others to go through this ya know and I know you don't either. Unfortunately I have no suggestions... I am not so good with creative things like that. I'm sure you'll find something though! I miss Luke when he's sleeping too :) I love your blog, and follow it no matter what! Also, where oh where did Mike get your necklace? I so want one! Email me or facebook me with the info if you can!